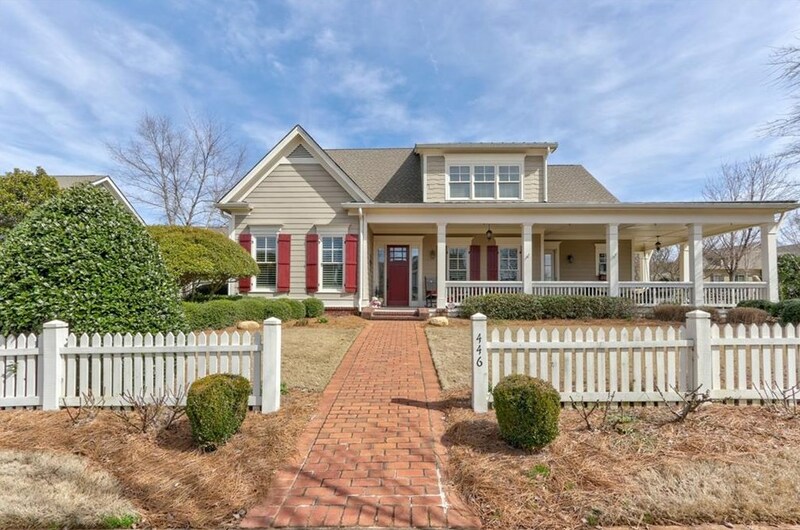 A popular Arklow plan on corner lot with wrap-around front porch, inside The Georgia Club is now available. The master suite and a second bedroom/bath are located on the main level with two additional bedrooms and baths upstairs. This home features a Keeping Room and a Great Room with fireplaces and built-ins. An unfinished bonus room over the garage provides storage or finish as you like. Access to the convenient laundry room is provided from the master bathroom. The backyard provides plenty of room for gardening or relaxation on the covered back porch. Driving Directions: From Atlanta: I-85 N to R on Hwy. 316 E. R on Craft Rd and cross Barber Creek Rd. Enter GA Club gates. R into North Hill neighborhood and follow Trimleston Road to R on Tralee Court. Home is first on R. From Athens: Hwy. 316 W to L on Craft Rd. Follow above. Listed by The Georgia Club Real Estate Company, Inc.
446 Tralee Court, Statham, GA 30666 (MLS# 6515221) is a Single Family property with 4 bedrooms and 4 full bathrooms. 446 Tralee Court is currently listed for $589,000 and was received on March 06, 2019. Want to learn more about 446 Tralee Court? 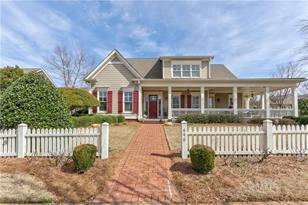 Do you have questions about finding other Single Family real estate for sale in Statham? You can browse all Statham real estate or contact a Coldwell Banker agent to request more information.